Hedgehog numbers have declined by more than half since 2000 and a shortage of natural food sources is one of the main reasons for their population decline. The size and shape of our biscuit based food is designed to assist with hedgehog’s dental hygiene. Hedgehogs will also benefit from a supply of drinking water, especially in hot summers. 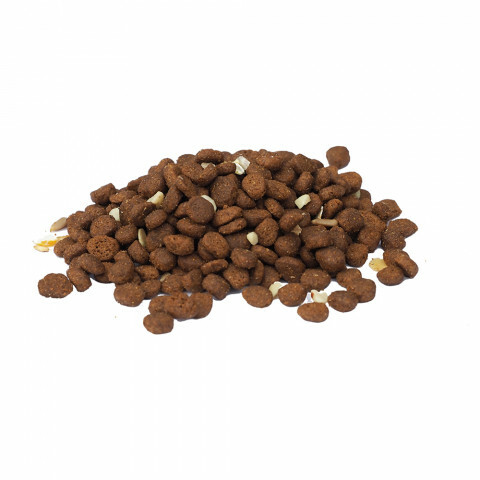 Working with advice from hedgehog charities, we have a biscuit based hedgehog food which compliments their natural diet with the correct balance of nutrients, vitamins and minerals. Feeding hedgehog food throughout the winter is essential as, and contrary to popular belief, hedgehogs don't always hibernate for the whole winter. Our hedgehog food is a tasty nutritionally balanced food for hedgehogs. Our new recipe is based on the latest research carried out by hedgehog charities. Our chicken flavoured biscuits are boosted with essential vitamins and minerals to give a nutritionally balanced food with the addition of a small percentage of sunflower hearts, chopped peanuts, rolled oats and kibbled maize. 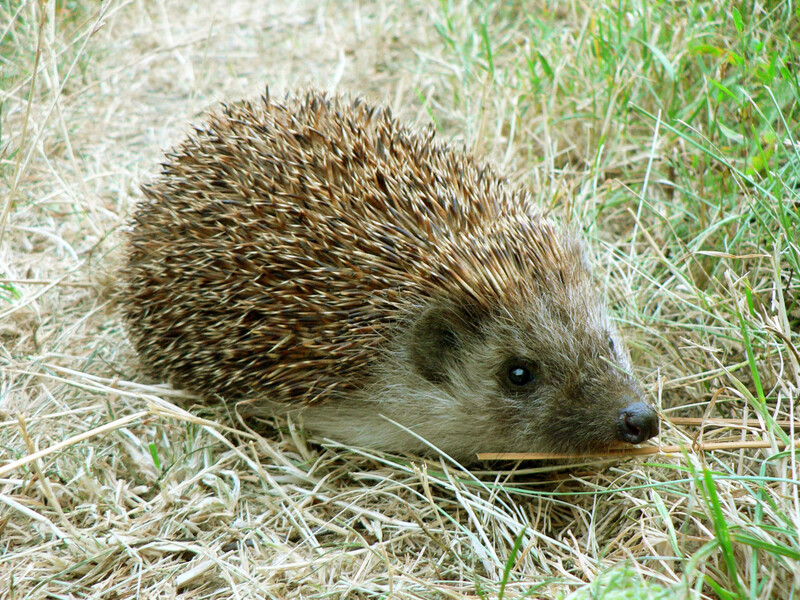 Help save our endangered hedgehog. What is in your hedgehog food? What is the best way to feed this food to hedgehogs? Feed from one of our compact feeder trays. Hedgehogs enjoy cat food, is this better for them than other foods? What are the benefits? There are pros and cons to using cat food, but on balance we recommend it isn't used. The main, and obvious, reason being that putting it out is more likely to attract local domestic cats before hedgehogs find it. 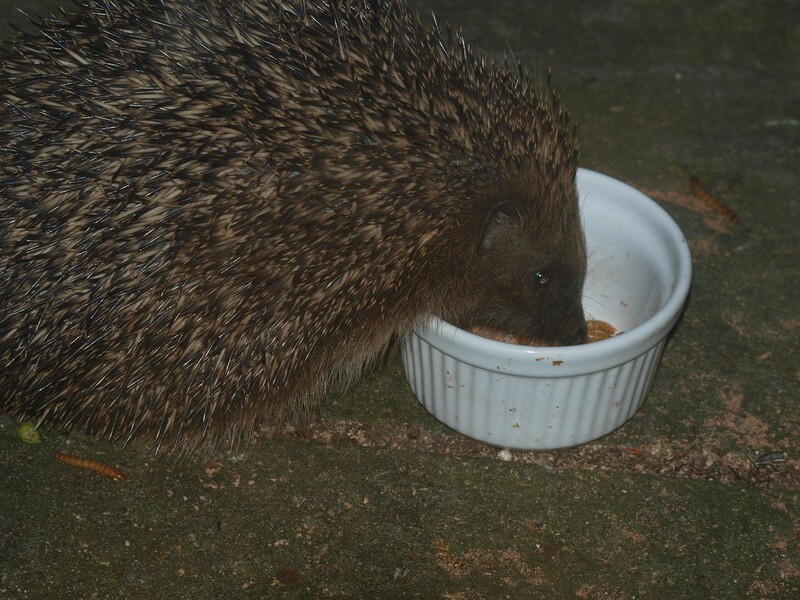 So our Hedgehog Food is certainly a better option, and its cleaner and easier to use. What is the best way to attract hedgehogs to the food? Hedgehogs have a very strong sense of smell, so they're likely to find the food wherever you place it in your garden.